The project related to an apartment development consisting of 264no. apartments over six blocks, which were partly developed. McCarthy & Associates were initially engaged by the financial institution to review the developers completion budget and in conjunction with the developer, produce and comment on the pros and cons associated with a number of completion options. 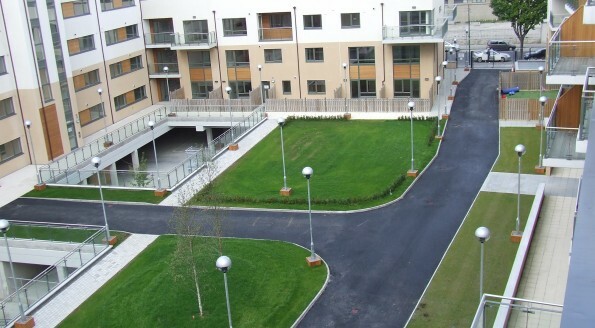 Following the project entering into Receivership, McCarthy & Associates were issued with a new brief to carry out a complete cost review of the development, identify and address Health & Safety issues on site in order to protect the stakeholders and residents, prepare and issue a detailed tender package for specific elements and project / cost manage to completion a defined scope of works. 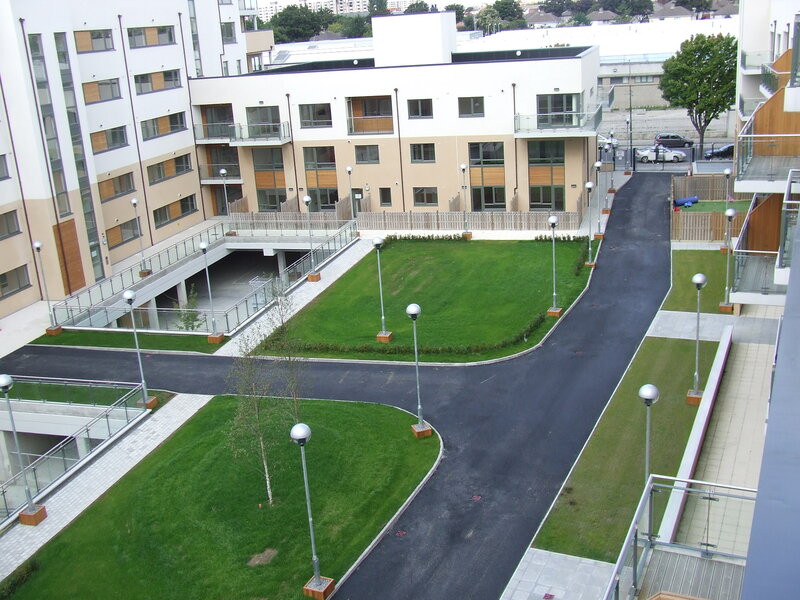 Following an overall appraisal of the site, McCarthy & Associates were instructed to negotiate with a reputable contractor the completion of the unfinished block (73no. units) to an agreed builders specification, address snag issues identified with the partly completed block (24no. units) and complete the associated podium and basement areas, based on a design & build contract. On review of the development, it became apparent that there were a number of non-compliant statutory issues which needed to be addressed, before we could complete the works. McCarthy & Associates managed the preparation and submission of a revised fire safety certificate and planning compliance submissions to the local authority to address the non-compliant issues identified. Approval of same resulted in significant savings for the stakeholders. Following completion of the works within the agreed programme and budget and attainment of all relevant certificates the Receiver was successful in selling the development.